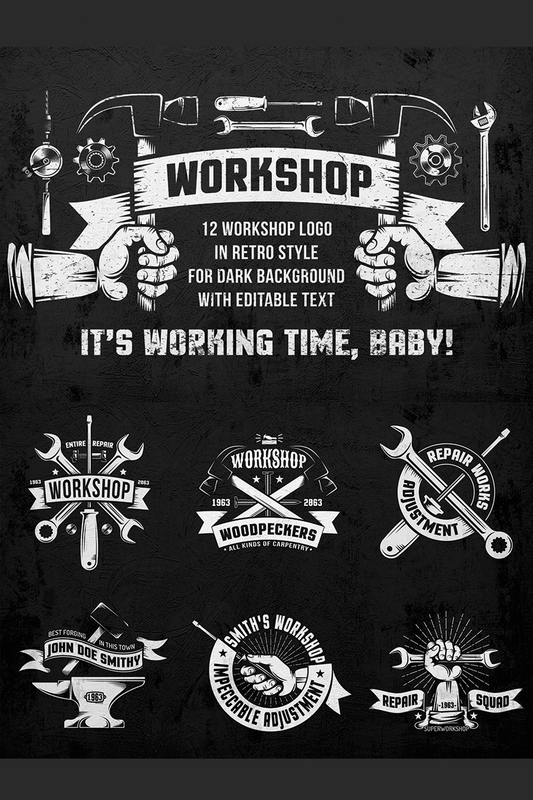 Workshop emblems with hand tools in retro vintage style on a dark background. Editable text included. Used free fonts. 12 ready workshop retro emblems. Vector AI CS6, EPS10 and raster layered PSD, JPG files. AI CS6 and PSD files with editable text. 1 workshop poster template. Vector AI CS6, EPS10 and raster layered PSD, JPG files. AI CS6 and PSD files with editable text.